Summer is by far my favorite season. Picnics, beach trips, bonfires, and all the other amazing summer events we partake in make for some really delicious, summer-themed food like this recipe from Dine and Dish. 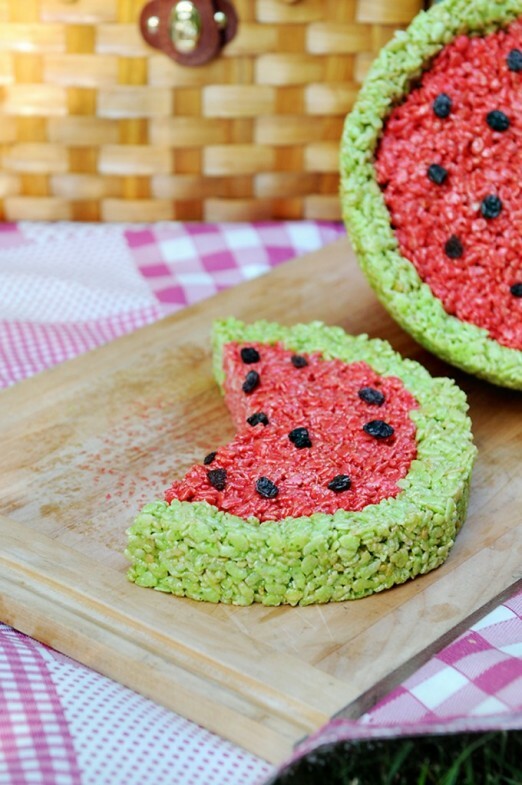 This Tangy Watermelon Rice Krispie Treat recipe would make a perfect addition to a backyard barbeque, a beach picnic, or a 4th of July Block Party. The recipe is incredibly simple too, requiring little more than Rice Krispies, summer drink mix, and marshmallows. Easy to make and ultra impressive, this dessert is sure to become an instant summer classic.